MAGNO PRO is the new professional American pool table from SAM . A table that combines a professional frame that resembles the K.STEEL 2 with a simple and handy cupboard to hold it. 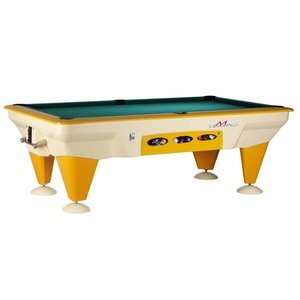 The completely flat rails for the best performance, the sturdy structure, the cushions made of natural rubber Artemis and the first quality cloth, put this table at the top among the professional pool tables.